TOMCO2 Systems’ patented CO2-based water treatment solutions have gained global recognition for their efficient and precise pH control systems. With water treatment solutions implemented throughout North America and globally, our pH control systems are renowned for customization according to each application. TOMCO2 Systems, the established leader in water treatment solutions, since 1972, for the potable / desalination water and wastewater treatment industry, offers patented solutions for global clients, while specializing in acidification to waste water, desalination, industrial waste, and processed water. Our team of water treatment specialists has the industry experience needed to design, fabricate, install and maintain water treatment solutions that meet the challenges municipalities face, including tough environmental regulations. In fact, TOMCO2 Systems helps clients easily comply with these new regulatory changes in pH without the liability of using sulfuric or other mineral acids. 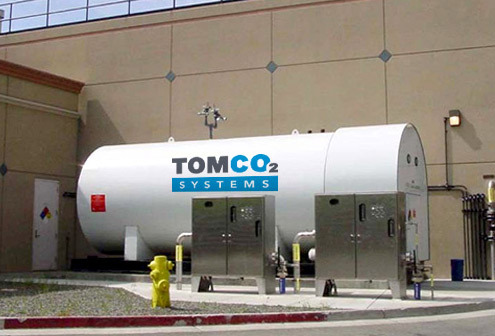 TOMCO2 Systems offers a revolutionary automatic Pressurized Solution Feed System (PSF) that provides constant pH levels using environmentally safe carbonic acid. This equipment can be conveniently installed in existing pipelines without the need for additional contact basins. TOMCO2 Systems’ Water Technologies division continually provides the most advanced new products and services to meet growing consumer and industrial demands. Our standards and commitment have made us the industry leader across the world.